This book contains a collection of 20 seasonally-inspired menus with 56 delicious recipes for celebrating the 12 Full Moons and 8 sabbats on the Wheel of the Year. 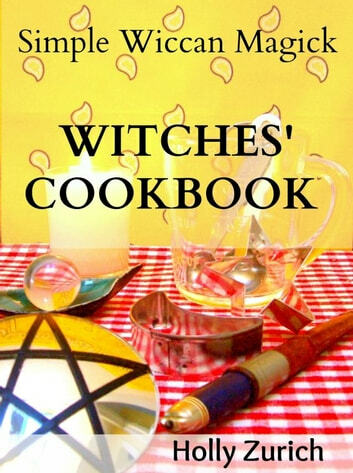 Compiled and expanded from the popular Simple Wiccan Magick books Spells & Ritual Ceremony and Full Moon Spells & Rituals, all recipes are newly revised with both metric and imperial measures for international cookery. You may already have your own book of spells or be a Neo-Pagan who doesn’t practice magick. 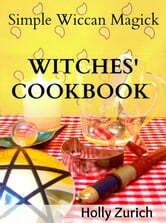 However, if you celebrate any of the full moons or festivals on the Wheel of the Year, this cook book is for you, with easy-to-make, appetizing meals created to honour those special days. Bon appetit and blessed be! I loved it so many recipes! I can not wait to try them all!